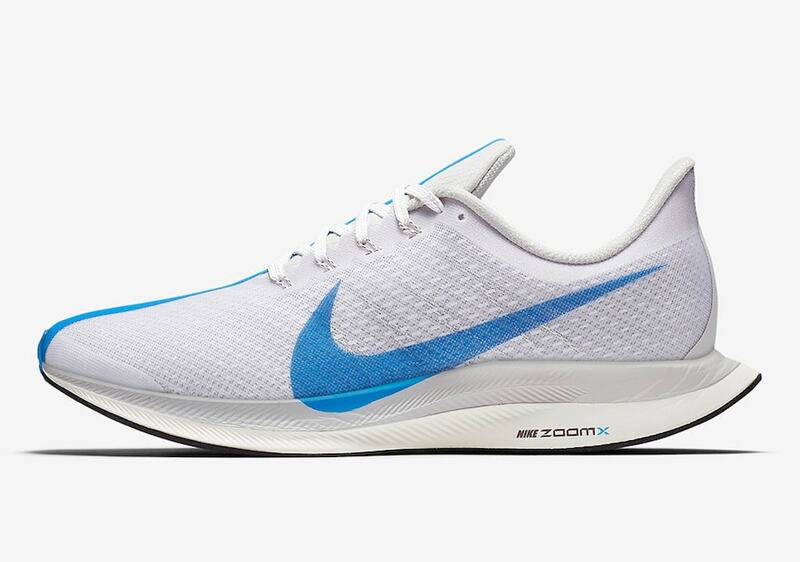 Nike’s innovative new Zoom Pegasus Turbo finally launched this past week, much to the delight of sneaker and running fans alike. 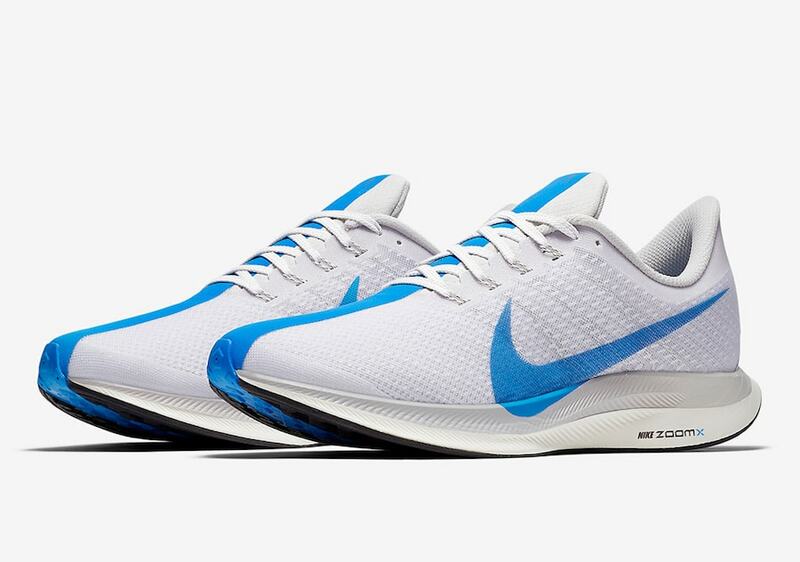 The 36th installment in the Pegasus line balances React and ZoomX for an incredible ride, and comes in “Hero Blue” next month. 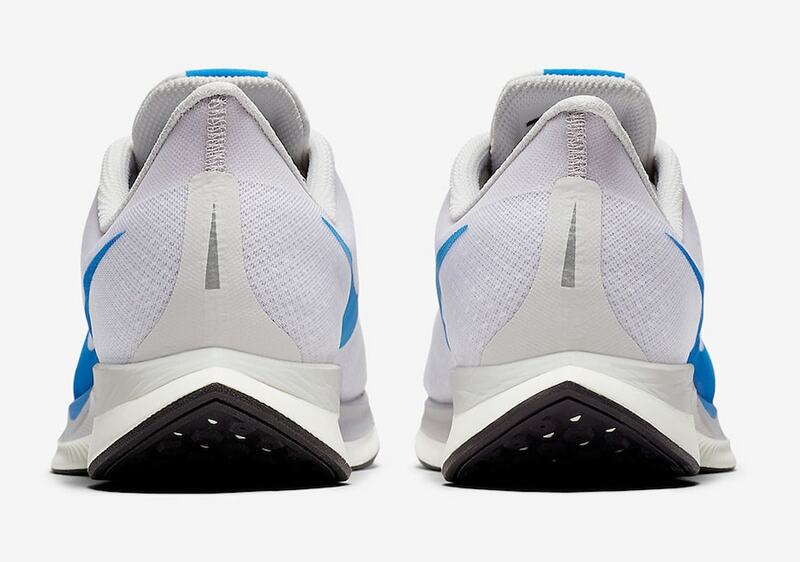 The latest colorway of the new Pegasus Turbo may be one of the cleanest and most eye-catching yet. The flexible mesh upper comes all in white from heel to toe, down to the tongue, laces, and inner lining. 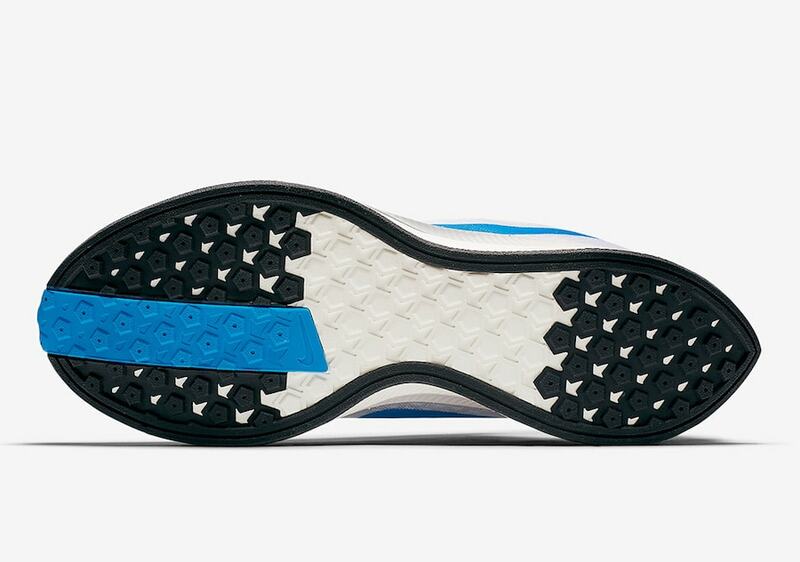 The combination React and ZoomX midsole is also done in plain white to match the upper, while a black outsole protects the dual-density foam from the elements. 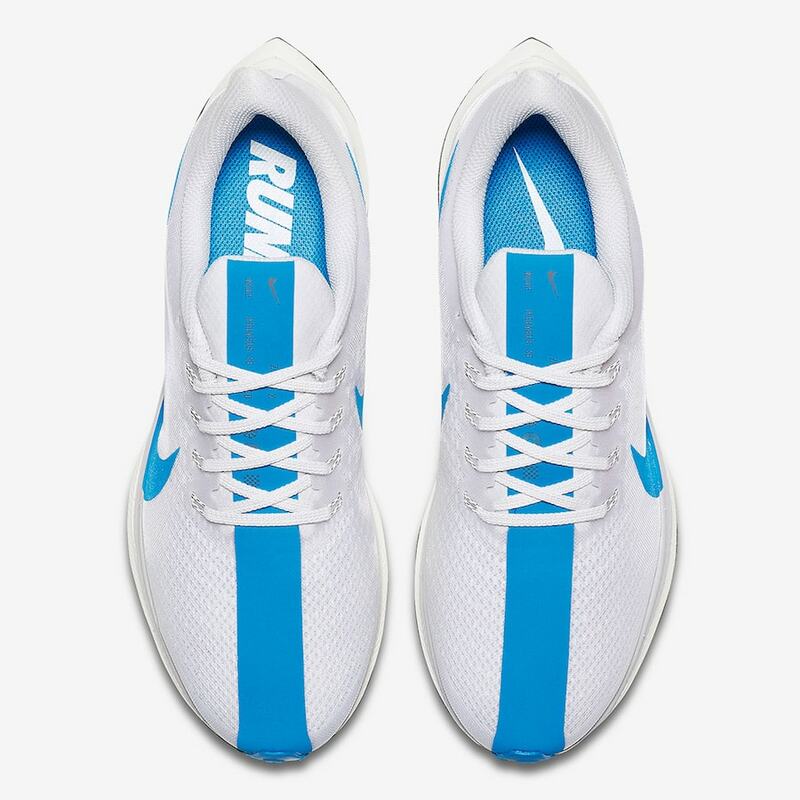 The central racing stripes running from toe to tongue is painted in a vibrant blue hue, matching the oversized Swoosh on either side. 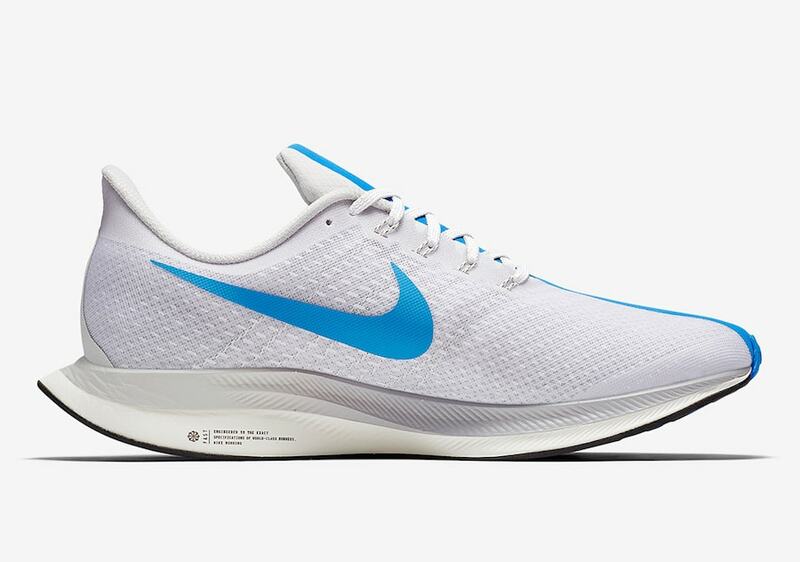 Nike’s new Zoom Pegasus Turbo silhouette is ready for the launch of secondary colorways on September 1st, 2018. The sleek “Hero Blue” colorway will retail for the standard $180 from both Nike and select retailers. Check out the official images below for a better look, and stay tuned to JustFreshKicks for more Nike ZoomX release news.